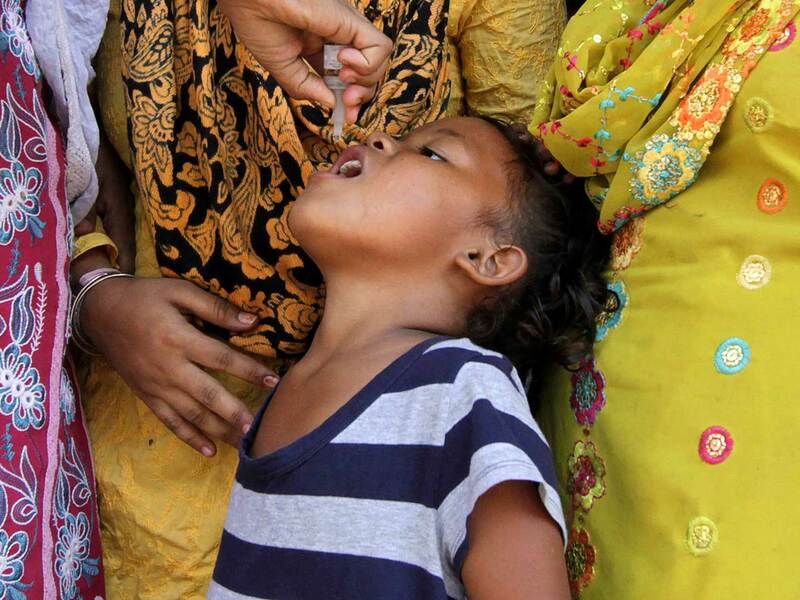 India declared polio-free by World Health Org. NEW DELHI - India marked a major success in its battle against polio Saturday by being removed from the World Health Organization's list of countries plagued by the crippling disease. Health Minister Ghulam Nabi Azad said the WHO removed India from the list after the country passed one year without registering any new cases. The milestone is a major victory in the global effort to eradicate polio and leaves only three countries with endemic polio  Pakistan, Nigeria and Afghanistan. India must pass another two years without new cases to be declared polio-free. Prime Minister Manmohan Singh praised some 230,000 volunteers who traveled across India to vaccinate children and said India's success against polio "shows that teamwork pays." "This gives us hope that we can finally eradicate polio not only from India but from the face of the entire mother Earth," he said at a New Delhi conference on polio Saturday. He said more work was needed to ensure every Indian child "has equal access to the best immunization" as well as to other factors for warding off disease including better sanitation, education, safe drinking water and nutritious food. "We need to educate our children and our mothers on the importance of hygiene and nutrition to overall good health and longevity," Singh said. India's success in fighting polio has been credited to a partnership between the government, the WHO, UNICEF and Rotary International, whose members have contributed more than $1 billion to the global eradication effort.